Re-edit of a video shot at November 2009 Hilliard Davidson Talent Show. Oh! The passage of time! 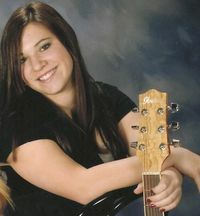 Seems like just yesterday that I posted videos of my niece, Nikki, performing at last year’s high school pops concert. Here we are in 2009… Nikki’s a high school senior… and I have the pleasure of putting up these videos from the Hilliard Davidson High School Talent Show. 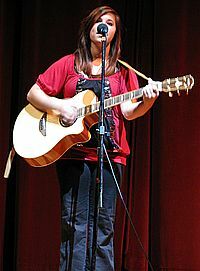 Nikki performed one solo and was a member of a musical group that closed out last Monday evening’s performance. How these young people are able to muster such talent at their age is beyond me. Hope you enjoy these tunes as much as the family did! Spring has come to Ohio and with it, my niece’s Spring Choir Pops Concert. Held on Saturday evening, the concert was a terrific blend of music, comedy and close harmonies performed by the senior choir, en masse, and individual members as solo, duet and small ensembles. This year, Nikki performed a solo tune, a duet and accompanied a friend with guitar, all, in addition to her contribution as a member of this year’s senior choir. 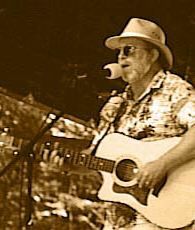 Bob has been performing and writing since high school in the early seventies, occasionally as part of a duo but more often as a solo act. “I even did the obligatory move-to-California bit at one point, but I’ve always had better luck playing in Ohio and thereabouts,” he says. Highlights through the years have included regular appearances on a WOSU radio songwriter showcase, “hoot night” performances at L.A.’s Troubadour (part of the California adventure), and a three-year stand at Columbus’ now-defunct Black Forest Inn. On acoustic guitar, Bob moves fluidly between rhythmic flatpicking and melodic fingerstyle approaches, faithful to his roots in folk and ‘70s acoustic music. “I’m not a lead guitar player by any stretch, but when you play solo for a long time, you learn things to make a rhythm guitar part more interesting, to yourself and to the audience,” he explains. More attentive crowds might be treated to a Leo Kottke song or similarly challenging instrumental. A Dylanesque harmonica embellishes several of Bob’s songs as well. What a kick it is to see music play a part in the lives of younger generations within a family! My young niece, Nikki is a high school junior. She’s involved in a number of choruses and choirs at her high school, takes voice lessons, plays guitar and writes & performs her own songs at open microphone venues in Central Ohio. She’s also an accomplished equestrian!